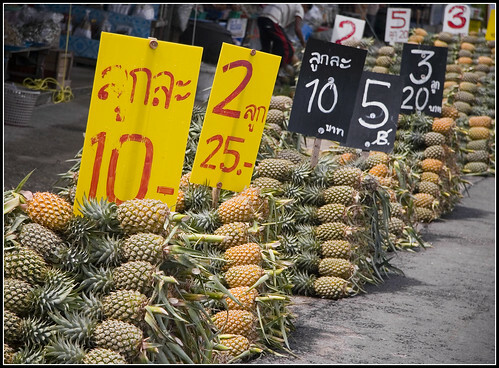 The busy tourist season continues in Phuket! I think I had a day off somewhere last weekend, but it's all a blur really ... The weather? Pretty much perfect all week. I mean, it's January, high season and (on average) the 2nd driest month of the year after February. I could write a one word blog entry for January 19th - 26th: Nice. But it's not so simple! Weather had been good last week save for a few drips of rain. Last Saturday I was looking forward to a day off in the sun. We planned a drive off Phuket to some waterfalls in Phang Nga. Unfortunately, Saturday (my only day off) did not play ball. As we left home, skies were darkening. OK, not to worry, rain is normally very localised, we're heading north, the skies will be blue! WRONG! 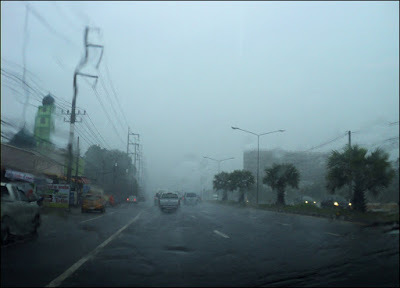 We drove north through heavy rain, and although the rain eased, there was plenty of dark cloud to the east as we crossed the Sarasin Bridge... we decided against waterfalls and explored some back roads near the bridge and visited the 360 Degree Cafe just a few km over the other side of the bridge. 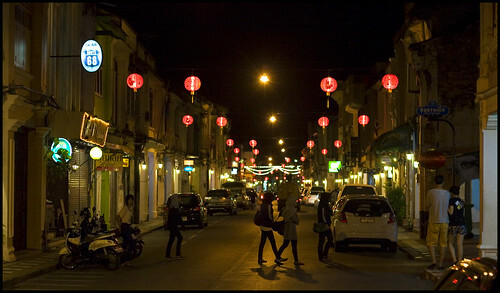 Weather was dry again, and the evening air a little cool (in Phuket terms, about 24 degrees C is cool!). 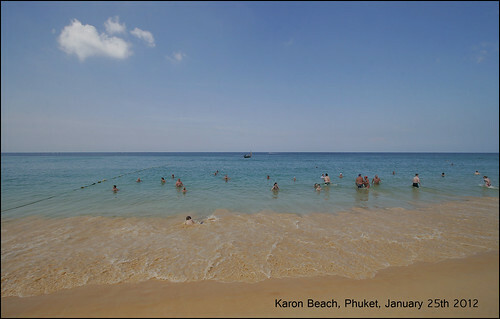 At lunchtime on the 25th, I took a quick walk to Karon Beach - it was HOT and quite crowded at the beach. Most tourists like to sit in the sun and get burned in the middle of the day. I prefer late afternoon, not so hot. And now the amazing news ... all this sun, perfect days... and yeh, some rain on Saturday and some rain in the night a few times. January is normally drier than this, and according to my rain gauge this is the wettest January since at least 1999 (I have data back to 1999)! How can it be the wettest when the weather is this good? It only takes a few heavy showers .. even if most of the month is sunny. 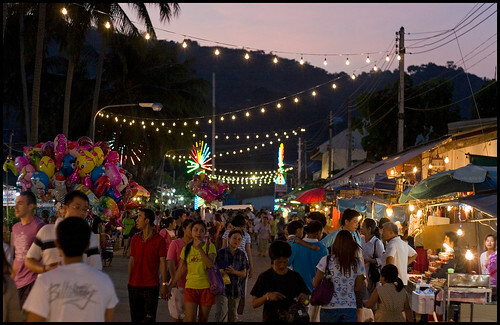 Also this week - the Phuket Local Food Fair is on until 29th January, you can find this at Sapan Hin, in the south of Phuket Town. 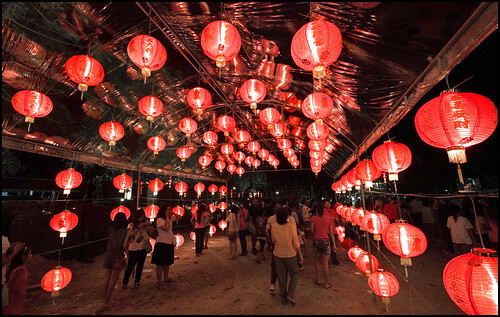 AND the Phuket Old Town Festival happens from 28th - 30th January. We'll be heading into town on Saturday 28th for sure .. maybe Sunday too .. and Monday! 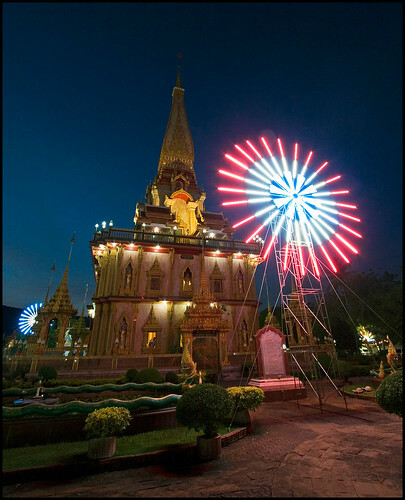 Always lots of things going on in Phuket! I have another day off on Saturday - sun, please!